Can I get life insurance with cardiovascular disorders? Yes, but you must work with an expert agent. The agent must have experience and knowledge of underwriting life insurance with cardiovascular disorders. Not every agent represents companies that specialize in affordable life insurance with cardiovascular disorders. The facts are that most life insurance agents shy away from individuals with heart disorders. Why? Simply put, most agents just have no experience or knowledge in knowing how to properly present a case to an underwriter for the best offer. An agent that has a background in underwriting, or perhaps some knowledge of how certain conditions affect the rates of a life insurance policy is vital for a client to secure the lowest rates. Affordable life insurance protection for individuals with cardiovascular disorders could be available. It is imperative that you use a specialized agent. 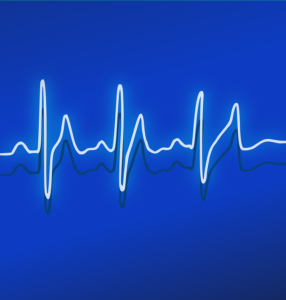 Why is the EKG so important in underwriting life insurance with cardiovascular disorders? There are literally hundreds of life insurance companies operating in the United States. This alone sometimes makes the process of finding the lowest cost plan seem overwhelming for individuals with cardiovascular disorders. An independent life insurance agent typically works with many different carriers. Some carriers specialize in underwriting risks like diabetes the best, some multiple sclerosis or crohn’s disease. An agent who specializes in underwriting life insurance with cardiovascular disorders will also represent the best carriers for these particular risks. Most life insurance companies do not offer competitive rates for individuals that have a history of cardiovascular disorders. It is up to the agent that specializes in this type of underwriting to secure the best rate. Here is a typical example of someone applying for life insurance with cardiovascular disorders. Tom is a 53 year old male with a need for $1 million of term life insurance protection. Tom has a history of left ventricular hypertrophy. His last Dr. visit showed his EKG had minor ST-T changes of 1mm or less with no T-wave inversion. Not thinking this is a big deal, Tom submits an application to his current home & auto carrier. This is a well known national company that also happens to offer life insurance for their customers. Tom completes his insurance exam and lab profile and waits for the insurance company to approve his application. The insurance provider also orders a copy of Tom’s personal physician records to review. After a couple of weeks pass, Tom gets informed by his home & auto carrier that he has been declined for life insurance. The insurance agent handling is application has no information on why he was declined and has no real suggestions on how to get coverage for Tom. Frustrated by the decision from his home & auto carrier, Tom decides to pursue other options. He sees an ad on TV from one of the large insurance quoting services and calls the 1-800 number. Tom speaks to a nice agent who sends him an application to apply at a very reasonable rate. Tom doesn’t bring up that he was just declined for coverage elsewhere. He doesn’t want to scare off the new carrier. Tom goes thru another insurance exam and lab profile. After a few weeks go by, Tom receives word that the new carrier would offer a policy. The problem though, is the new rate would be triple the price of what the nice agent had given him over the phone. Tom calls back to the 1-800 number to speak to the nice agent who gave him the original quote. Tom finds out the agent no longer works there so he speaks to a new agent instead. After reviewing the file the new agent explains that his application was rated higher due to his medical history of left ventricular hypertrophy. Tom is beside himself with how high the rates are and is determined to find lower rates. A few days later, Tom is having lunch with his work colleague Dave. Tom mentions his frustration of not being able to secure affordable term life insurance. Dave tells Tom about a local independent agent who helped him secure life insurance. Dave mentioned how he had worried about getting approved due to his diabetes. But, Dave’s agent told him he specialized in finding affordable protection for people with some medical history. Dave’s agent was able to secure standard coverage with no hassle. Tom gave Dave’s agent a call and explained his dilemma on finding affordable protection. The agent gathered all the information regarding Tom’s medical history. He also secures a copy of Tom’s personal medical records and EKG readings. The agent then submits the information informally to several companies who specializes in coverage for individuals with a history of cardiovascular disease. By submitting the information on an informal basis, the application is not reported to the medical information bureau(MIB). Within a few days Tom has a tentative offer for coverage with a standard rating. The agent told Tom he knew exactly which company to go to find the lowest rates. Tom was amazed at how simple the process was. Tom didn’t even have to do another medical exam or lab test. Apparently, the new agent was able to get copies of the previous exam and lab findings from the other insurance company. This saved Tom time and the inconvenience of having to do another exam and blood test. Within a few days, Tom had secured a new $1 million policy to protect his family. One of the most common types of arrhythmia. Can make the heart beat too fast or too slow. For more information on how to secure life insurance with atrial fibrillation click here. Is a defect in the electrical conduction of one of the branches of the heart. For more information on how to secure life insurance with bundle branch block click here. Is typically a defect that arises from birth. For more information on how to secure life insurance with congenital heart disease click here. Can affect many parts of the body, but in particular the heart. To find out more about how to secure life insurance with Marfan Syndrome click here. Is a condition where the heart muscle is enlarged. To find out more about how to secure life insurance with cardiomyopathy click here. A very common surgery to help restore blood flow from blocked arteries. To find the best solution for life insurance after bypass surgery click here. Is the most common type of heart disease. This occurs when the arteries become clogged with plaque and then become blocked. To find out how to secure the best life insurance with coronary artery disease click here. Is a very common occurrence that is typically caused by a leaky heart valve. To find the best life insurance protection for a mitral valve prolapse click here. A heart attack or myocardial infarction occurs when blood supply is cut off to the heart muscle. To find the best solutions for life insurance after a heart attack click here. Is a small device that is implanted in the chest to typical control abnormal heart rhythms. To find out more about the best solutions for life insurance with a pacemaker click here. A very common condition diagnosed by the pressure of the blood against the artery walls. To find out the most affordable options for life insurance with high blood pressure click here. Heart disease in women is just as common as in men. In fact, The American Heart Association calls this the “silent killer”. To find out the most affordable options on life insurance for women with heart disease click here. A very common procedure to determine the extent of coronary artery disease. To find out the most affordable options for life insurance after a cardiac catheterization click here. High cholesterol and High triglycerides can be a major risk factor for heart disease. To find out the most affordable options for life insurance with high lipid levels click here. Looking for life insurance with an abdominal aneurysm can sometimes be difficult. To find out the best options for life insurance with abdominal aneurysm click here. Finding affordable life insurance with a defibrillator can sometimes be difficult. For more information on the best options click here. Finding affordable life insurance with hypertrophic cardiomyopathy can be difficult. For more information on the best options click here. Finding life insurance with athlete’s heart can sometimes be confusing. For more information on the best options click here. Knowing the right insurance specialist to talk to is the key when looking for life insurance with cardiovascular disorders. If you would like to speak to us personally about your situation, please contact us at 1-888-393-9003 or mike@specialriskterm.com To listen to Mike’s radio interview regarding special risk life insurance click here. Special Risk Life Insurance- Can I get affordable coverage? Life Insurance for Diabetics-Finding the lowest rates! This entry was posted in Special Risk. Bookmark the permalink. Copyright © 2016 SpecialRiskTerm.com - All rights reserved. This site provides life insurance information and quotes. Each rate shown is a quote based on information provided by the carrier. No portion of SpecialRiskTerm.com may be copied, published or distributed in any manner for any purpose without prior written authorization of the owner.